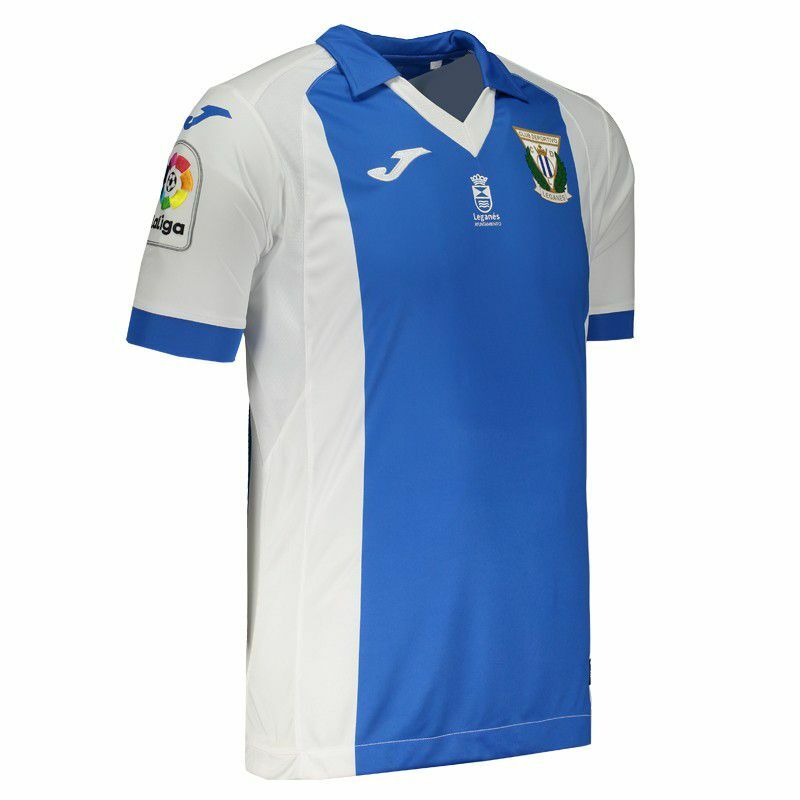 The 2018 Leganés mantle holder manufactured by Joma is made of polyester with DRYMX technology, which helps in the sweat evaporation, keeping a drier skin and regulating the body moisture. More info. 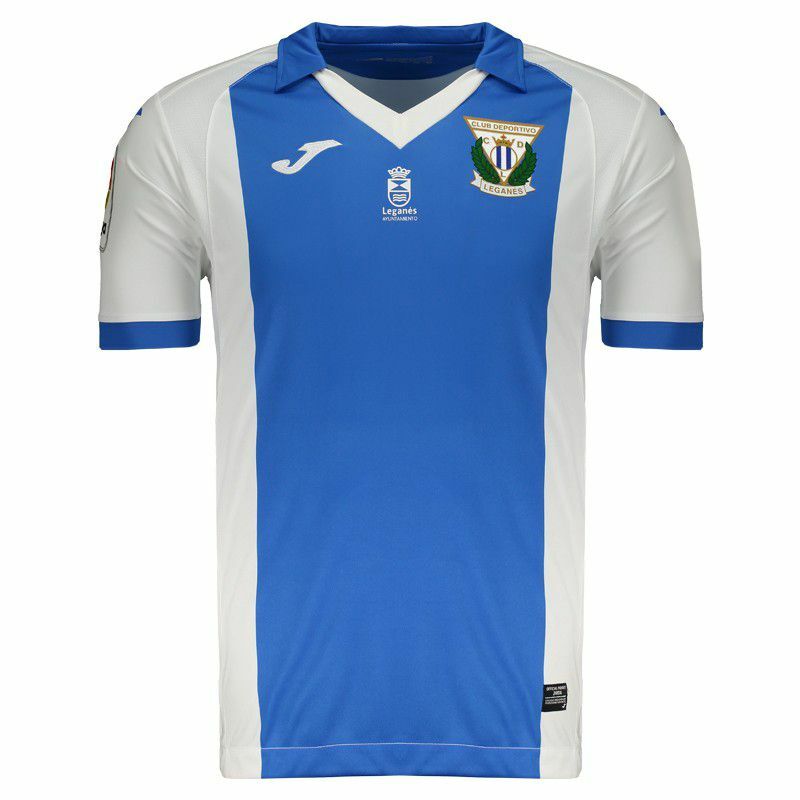 The 2018 Leganés mantle holder manufactured by Joma is made of polyester with DRYMX technology, which helps in the sweat evaporation, keeping a drier skin and regulating the body moisture. 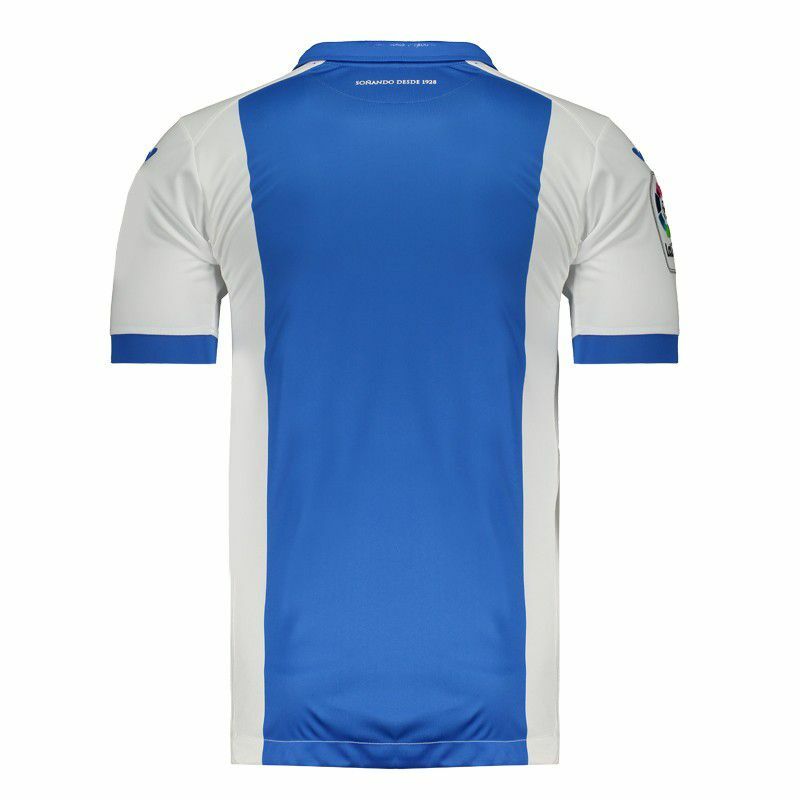 It can be customized with name and number using the team's official fonts and its design rescues a model used by the club in the 80's, with the central part blue with the white sides. The same blue is seen on the polo collar and cuffs of the sleeves. In the chest, the team's badge is present on vinyl. In addition, it has the LaLiga patch fixed on the direct sleeve. 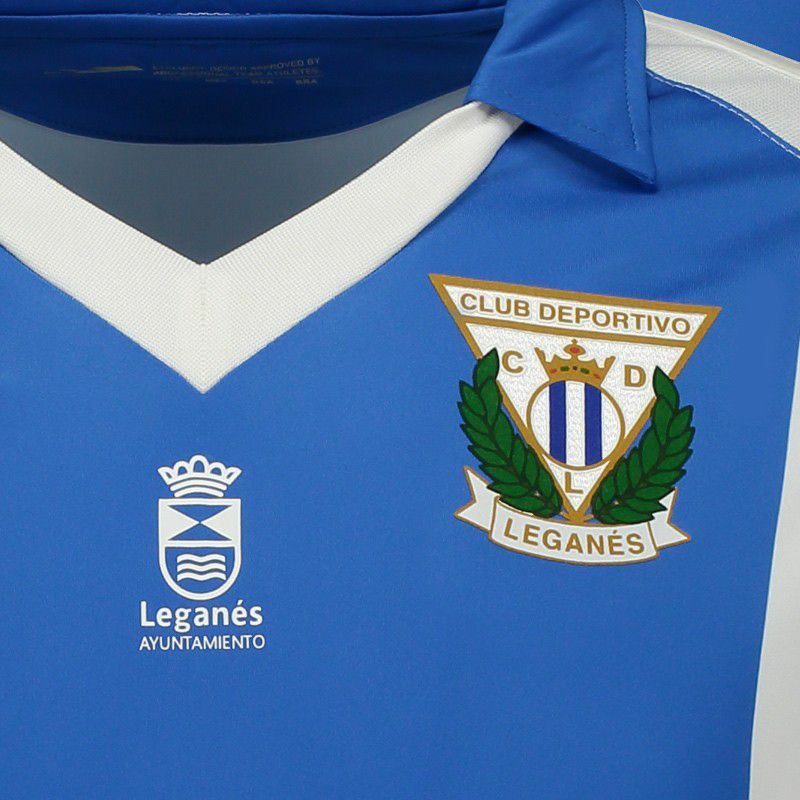 It has the seal of "Leganes Ayuntamiento" and near the nape of the neck, the inscription "Dreaming since 1928" (Dreaming since 1928) complements the piece.